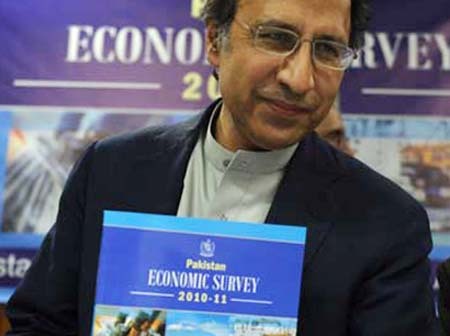 The federal budget for 2011-12 has been presented amidst difficult and adverse economic circumstances. It is, given the prevailing situation, as positive and realistic a budget as possible. The country needs to expand revenue generation and expand the tax net to lay the foundations of sustainable economic growth. It is, therefore, ironic that populist rhetoric and slogans like ‘the budget offers no relief to ordinary people’ are being bandied about instead of solid analysis while discussing the government’s budget priorities. Abolishing special excise duties and harmful, unnecessary duties are measures that would lead to a favourable economic environment. Theidentification of 700,000 eligible income taxpayers who have to-date not even had a national tax ID number will enable the Federal Bureau of Revenue (FBR) to methodically expand the tax base. In future, the CNIC number will serve as the tax ID number, making it possible to ensure that everyone pays their tax dues. Until Pakistan expands its tax base and sustainable economic growth can be achieved with resources generated within the country, it is mere fantasy to say that any of the provinces will be able to execute development projects without external financing. Punjab continues to receive loans from many countries and international donor agencies for aid projects even after its government leaders’ recent pronouncements against US aid. How economically sensible is it to take loans which need to be paid back instead of US grants which could help reduce the debt burden? Speeches against USAID and the IMF attract applause but do not make economic sense. Collective efforts to address our economic troubles are the need of the hour rather than political ploys and games that simply muddy the national discourse. Historically, it was Pakistan’s founding generation assembled under the banner of the Muslim League which started the process of seeking international aid to build up Pakistan’s infrastructure and industrial base — something that had not been inherited at the time of independence.The largest amounts of foreign aid were obtained during the Ayub Khan and Ziaul Haq eras, which again were Muslim League eras. Even the negotiations about the current IMF loan facility were initiated under the able Senator Ishaq Dar of the PML-N, when he served as finance minister in 2008. We have seen the consequences of populist slogan-mongering about shunning aid without working out an alternative. The ‘qarz utaro mulk sunwaro’ scheme of seeking contributions from overseas Pakistanis as a substitute for aid was initiated in 1998 amid claims of breaking the begging bowl. Only $178 million were raised against the outstanding international debt at the time, which was $38 billion. There is no disagreement on the principle that Pakistan should not be dependent on foreign aid and assistance, and more trade and self-reliance would be ideal. That ideal, however, would best be attained by realistic and consistent policies, not symbolic gestures or populist slogans. The IMF and the World Bank are multilateral institutions of which Pakistan is a contributing member and asking them for assistance or aid is in no way a blow to our self-respect — a fact Senator Dar reasonably acknowledged while briefly in the federal government in 2008. Pakistan has suffered due to populist decision-making trumping economic realism before. The largest flow of foreign investment in Pakistan’s history came during Shaheed Mohtarma Benazir Bhutto’s second term as prime minister (1993-1996) — when it jumped from $443 million in 1993 to $1,532 million in 1994-95 and $1,295 million in 1995-96. This inflow of investment was the result of incentives, particularly for foreign investors setting up independent power producing plants. Unfortunate populism led to the cancellation of these power-generating contracts amidst false accusations of corruption immediately after the manipulated ouster of the PPP government. The country not only lost the investment stream but is to this day suffering from shortages in power generation capacity in relation to the demand for electricity. Published in The Express Tribune, June 14th, 2011. Previous Entry Where is a Marshall Plan for Pakistan?